Born in Belgium in 1990, the young baritone was accepted into the Royal Conservatory in Brussels at the age of 17, where he studied under the Belgian baritone Marcel Vanaud. After completing a Bachelor degree in Brussels, he joined the Geneva University of Music where he obtained his Master with Professor Gilles Cachemaille. He made his operatic debut at the Royal Opera House of Wallonie/Liège as Papageno in Mozart's Magic Flute, its success led to various reinvitations (Ogre in Auber's La Forêt Bleue, Gazella in Lucrezia Borgia, Tomaso in Un Ballo in Maschera, Marcello in La Bohème). Also in recent years Ivan Thirion appeared in Liège: as Enrico in Lucia di Lammermoor (next to Annick Massis in the title role and Celso Albelo), as Lord Cecil (Maria Stuarda) and Don Carlo di Vargas (La Forza del Destino/cover). the productions in which Ivan Thirion participated over the last two years reflect the diversity of his repertoire : he's equally at home as Servant and Inkeeper in Prokofiev’s The Fiery Angel under Kazushi Ono, in Lyon ; as Oronte in Médée by M. A. Charpentier, in the new production under the baton of William Christie and stage directed by Andreas Homoki, in Zurich ; as the Comte de Toulouse in Verdi's Jérusalem under Speranza Scappucci, and Escamillo (opera conductor's competition) at ROH Liège ; as Belcore in L'Elisir d'Amore or Ping in Turandot ; as Le Dancaïre in Carmen and the baritone solo in Brahms' Ein deutsches Requiem in Montpellier ; as Albert (role debut) in Werther at Operazuid Maastricht ; as Grimbald and Man 3 in Purcell's King Arthur at Grand Théâtre de Genève (debut in the house) and eventually as Golaud in "Impressions de Pelléas" (with semi-staged performances in Belgium and Italy). 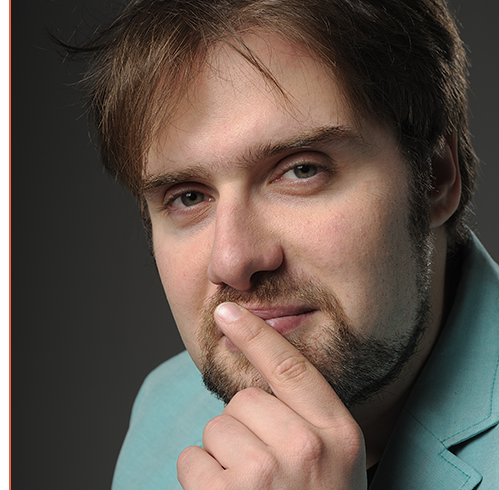 After a short residence this Summer at the Aix-en-Provene Festival, where he'll give several recitals, Ivan Thirion will return to Switzerland to take part in the opening production of Carmen (Le Dancaïre) at Grand Théâtre de Genève. Subsequently he will make his debut at the Flanders Opera in the role of The Officer in Philip Glass' chamber opera "In the penal Colony" ; a production to be revived within the framework of the festivals Opera XXI and Operadagen Rotterdam. Eventually he will join Operazuid Maastricht, this time as Sparck in a new production of Fantasio by Jacques Offenbach. In concert he will take part in the production "Un Noël français" initiated by the Belgian tenor Reinoud Van Mechelen and the latter's Ensemble A Norte Temporis (performances in Gent, Leuven, Bozar Brussels and at the Royal Chapel at the Palace in Versailles, December 2018). 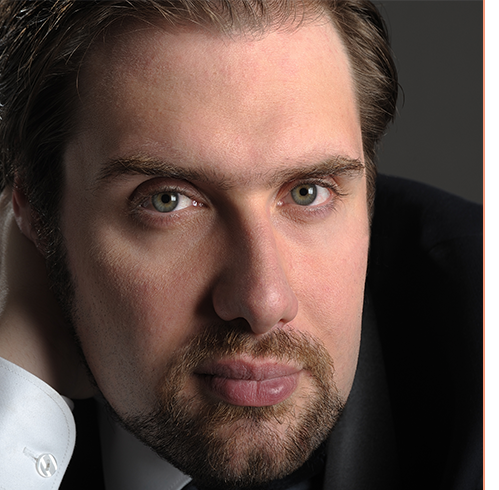 J uly 2013, Ivan Thirion was awarded with the „Wil Keune Prize for a young singer with real potential“ at the 32th edition of the "Hans Gabor Belvédère Competition" (Amsterdam edition). The same year he won the 2nd Prize at the 6th edition of the St Petersburg Opera Competiton. He is also finalist of the 26th "Eleanor McCollum Competition for Young Singers" at the Houston Grand Opera (2014). Eventually he has been chosen for the BBC Cardiff Singer of the World Competition 2017, being the first Belgian to reach the final rounds since 30 years. From 2011 to 2013 Ivan Thirion was affiliated with CNIPAL the so called Opera Studio of Marseille, where he appeared in many concerts and opera productions. The latter in collaboration with other French theatres that proved fruitful afterwards such as the Opera Houses of Montpellier (where he sung his first Figaro in Nozze di Figaro), Marseille and Avignon where he sang Franck (Die Fledermaus) and Maharadja (L’amour masqué), next to Toulon, Nancy, Limoges and Bordeaux. Making himself a name Ivan Thirion was invited by the Festival of Radio France to participate in Benjamin Godard's La Vivandière. CV UPDATE SEASON 2018/2019. Please contact the Agency, to get the most recent version of the present biography, or its short version.